Once again toy giant Funko hit a smashing success with the official Funko NYCC 2017 Lucky Draw Game at New York Comic Con 2017! Powered by PowerCore’s Activation technology, both convention attendees and fans at home snatched up game tickets by visiting luckydraw.funko.com. The download-free, app-free experience kept players actively engaged, allowing them to anticipate the prize drawings and watch them unfold in real time. 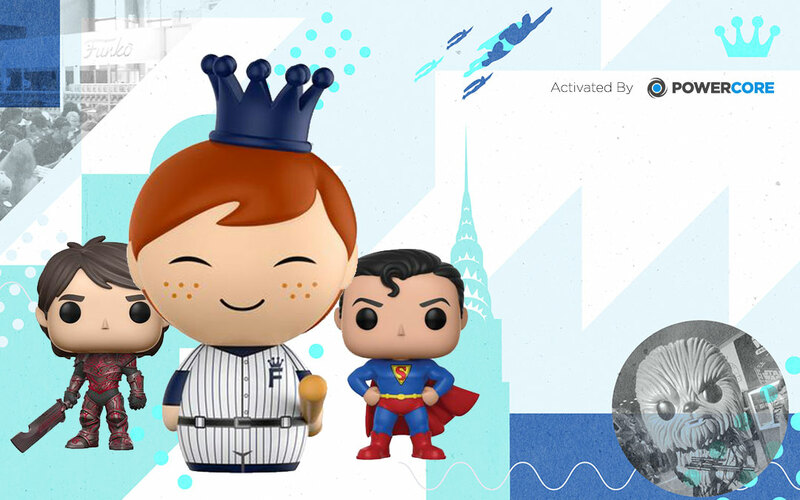 Fans around the world tuned in to win prizes, including coveted Funko NYCC 2017 limited edition exclusives. A diverse set of prizes ensured that something was bound to interest every convention attendee or at-home fan. Whether you root for Team MARVEL or Team DC, the Hulk and Superman figures were bound to please. Everyone’s favorite Star Wars POP figures up for grabs included K-2SO, Dengar, and Saw Gerrera. Popular TV characters included those from Power Rangers, Rick & Morty, Nickelodeon’s Teenage Mutant Ninja Turtles, and Netflix’s Stranger Things. Game, sports, and animation figurines from Disney and other studios rounded out the rest of the prizes. There was truly something for everyone! Happy winners took home 40 prizes! And the best part was that anyone could win, whether they could attend in person for extra tickets or keep their fingers crossed over the interwebs. No Funko fan was left behind! It’s not too late to get in on the action with Funko’s Quidd app, where you can collect, trade, and show off officially licensed stickers, 3D figures, and collectible cards. You might even get lucky with a mystery box containing rare and exclusive items! Download for free on the App Store and Google Play. Power your next event or product with PowerCore Activation Platform – GET ACTIVATED!